As a producer of perishable items, we are constantly thinking of ways to avoid wasting food. There are countless people out there who need fresh food and we aim to provide them with any we have that will not go to use. During the month of October, we wanted to help give to an organization that educated young women about breast cancer. 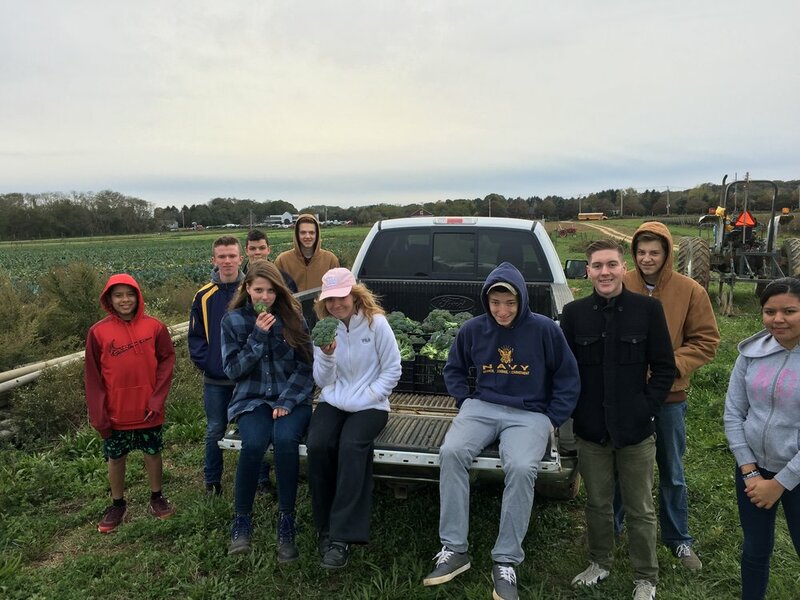 Since cruciferous veggies are known cancer fighters, we gave 5% of all sales of cruciferous crops in the month of October to the Maurer Foundation , a Long Island based breast cancer education non- profit. Thank you for helping us give to this important program and for helping us make a difference in our community. November is our month to give thanks and share what we grow. Our carrot harvest is bountiful, so we will share it with those in need, with YOUR help! Buy 2 carrot bunches - one for yourself, and one for another. We will give to families in our community that are in need of food this holiday. Every bunch you give will just add to that quantity. It will be especially wonderful to share this fresh, nourishing, healthy food from our farm. Thank you! An age old practice that originated as a way to feed 'peasants' food that the farmer was not going to harvest, we have adopted this term and given it a a more modern meaning! 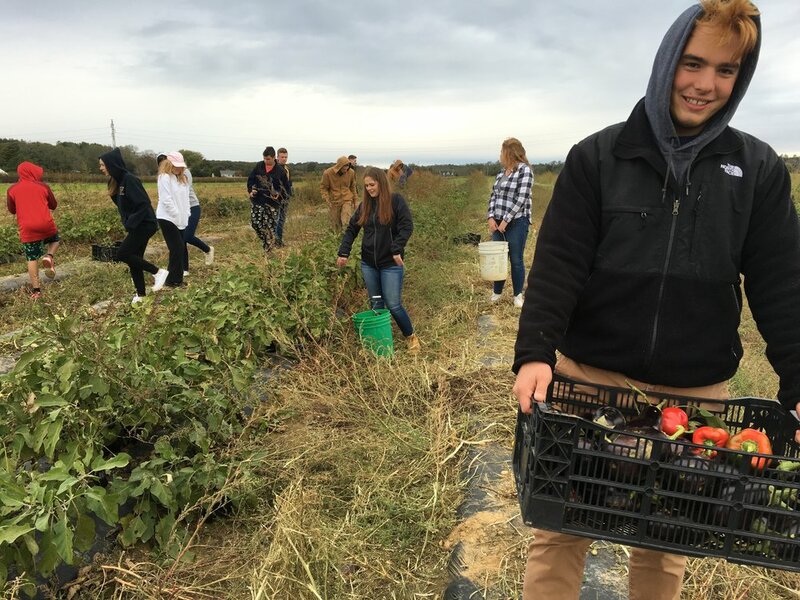 In the last few years we have invited school groups, 4H clubs, and others to help harvest from the areas we cannot possibly harvest as much as is left in the fall. 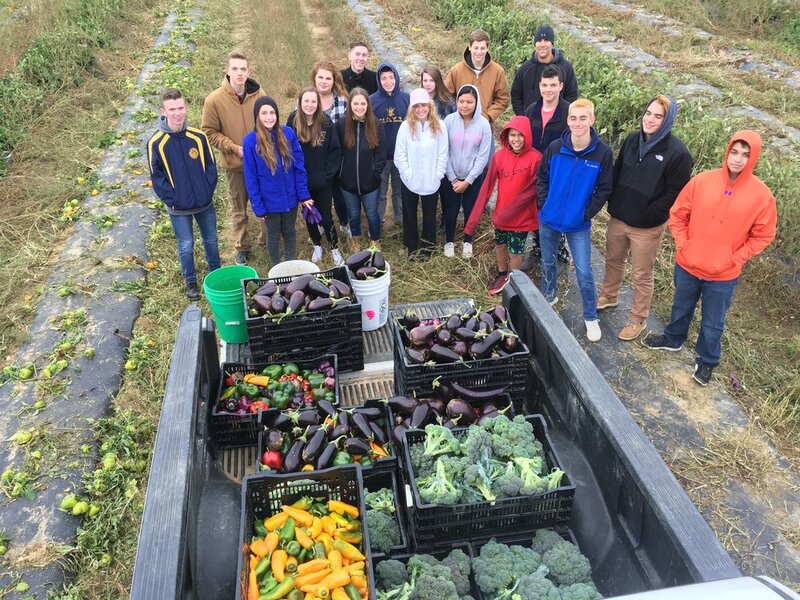 They then donate this gleaned produce to local food pantries such as CAST. Every week, we provide Island Harvest, a local food bank, with at least 10-20 crates of vegetables that will not last into the next week. A few years back we did a campaign called "donate to dig" where people donated money to the farm to fund the labor for digging potatoes (or came and helped dig) that we then donated to Island Harvest right before Thanksgiving so that families could stock up for the holiday. 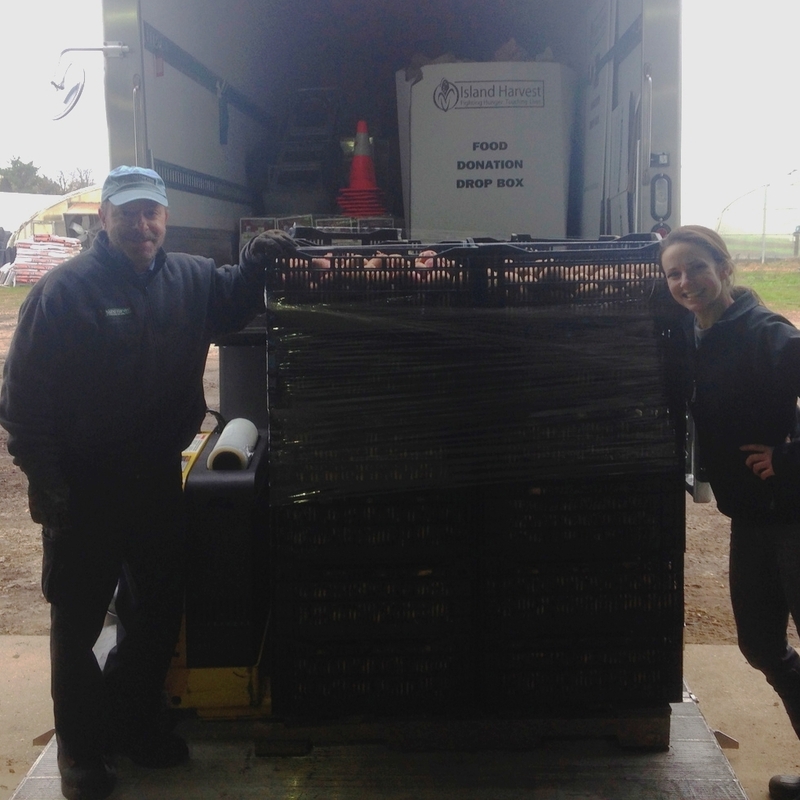 We were able to dig 1500 lbs of potatoes to donate ! This year, a woman from Fire Island purchased several CSA shares for clients of hers who live on Fire Island most of the season. When they stopped going there in the fall, these shares became available to donate. We had recently been in touch with Carol, a woman who runs the head start programs on the North & South Fork, and she said her daycare centers could use any donated fresh produce. We re-routed these shares and they are used in the cafeteria, eaten raw by the kids throughout the day, and given to some families who are food insecure to take home and cook with. When CSA shares are not picked up from the farm, we also donate them to CAST, local families in need, or Island Harvest. Every week we donate vegetables for a dinner to be cooked at Maureen's Haven - a local service that cooks dinner for the homeless in our community.